VULCAN — Judy Ann Pollard passed peacefully on to eternal life at her home on Saturday, April 13, 2019, after a courageous five-year battle with cancer. She was born on Feb. 24, 1945, to the late Chester and Janette (Bergen) Crantz in Detroit. She lived 74 blessed years in devotion to her faith, her family and her friends. She moved to Iron Mountain in 1957 where she graduated from Iron Mountain High School in 1963. She married Carlton Pollard on Sept. 9, 1967, at St. Mary and St. Joseph Catholic Church in Iron Mountain. 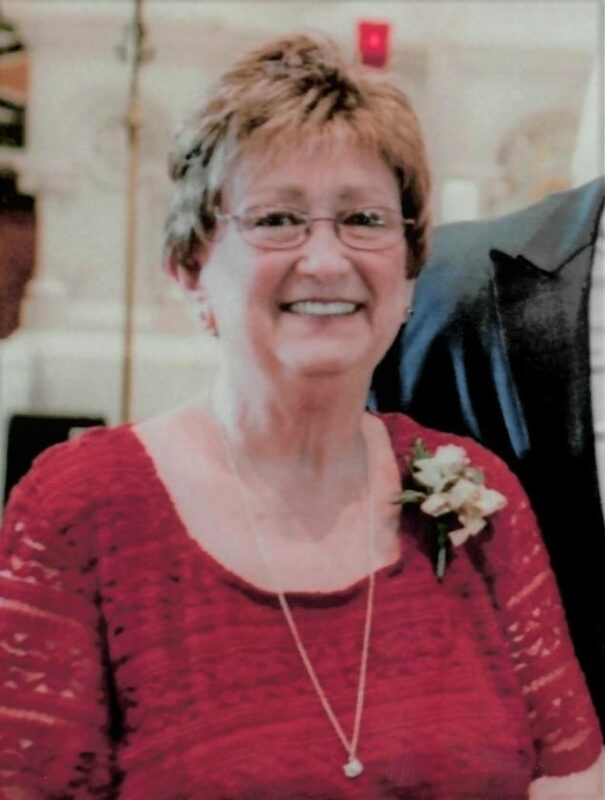 Judy worked at Michigan Bell Telephone Company, Kushner Children’s Clothing, Schinderle Italian Maid Bakery, and was an ever loving and dedicated mother and grandmother. She will be remembered forever as the “Cake Lady,” by the many people that enjoyed the cakes she crafted for over 25 years. She was an active member of St. Mary and St. Joseph Catholic Church, singing in the choir for nearly 30 years and volunteering in the kitchen. Judy is survived by her husband of 51 years, Carlton; daughter, Joyce (Tom) Verrette of Iron Mountain and son, Ken Pollard of Omaha, Neb. ; seven grandchildren, Kelsie (Spencer) Rohr of Lebanon, Ohio, Melissa Bashaw (Macrea Anderson) of Iron Mountain, Megan Bashaw of Iron Mountain, Ella and Grant Pollard of Omaha, and Marcus and Joseph Verrette of Iron Mountain; three great-grandchildren, Harper Rohr, Grady Anderson and Braelyn Wallington. She is further survived by her aunt, Sister Alfreda Crantz of Louisville, Ky.; two sisters-in-law, Joan (Lane) Perdue of Green Bay, Wis., and Linda (Roger) Polkinghorne of Newbury Park, Calif.; and her very dear friend, Carol (Dave) Christesen, who has been a “sister” to her; and several nieces, nephews and cousins who adored her. Judy, you will be extremely missed by all who knew and loved you but you will never be forgotten. Know that a lifetime of memories of you and the lessons you’ve taught us will live forever. We miss you…Babe, Mom, Grandma Cakes, G-mama, Grma, Judes, Nana, Auntie Zippy and so many more…you will always be a part of us. Visitation will be from 11 a.m. to 1 p.m. Wednesday, April 17 at the Erickson-Rochon & Nash Funeral Home in Iron Mountain. The Funeral Mass will follow at 1:30 p.m. at St. Mary and St. Joseph Catholic Church in Iron Mountain. Father Janusz Romanek will offer the Mass of Christian Burial. Condolences may be expressed to the family of Judy Pollard online at www.ernashfuneralhomes.com.